Granite Industries is offering the best prices of the year! Granite Industries is combining its Fall Sale, Black Friday, and Cyber Monday into one fabulous savings event! Starting now and running for three weeks, the sale will feature all of our best selling items. We rarely run promotions, but when we do, we make them count. Now is the time to load up before the end of the year on quality Granite products. The sale ends November 30th. If there is an item not include in the promotion, please CONTACT US. We would love to help you lock in these exclusive savings. Granite Industries is continually developing new products and improving on old products. Many of our designs are exclusive to us and are patented. We take great pride in finding innovative solutions that make work place environments safer and more efficient. From scaffolding to guardrails we offer a wide variety of quality products. Below are some of the most popular items from Granite Industries and the promotion for each item. Granite has a rich history of producing top quality scaffolding. Open end frames, step frames, scaffold towers and access towers are all produced by hand at Granite headquarters in Archbold, OH. Careful attention is given go each piece of scaffolding at each step of the manufacturing process. This ensures that every Granite scaffold frame lives up to and exceeds the five year standard warranty. Granite also produces walkboards, cross braces, guardrails, side brackets and access ladders. 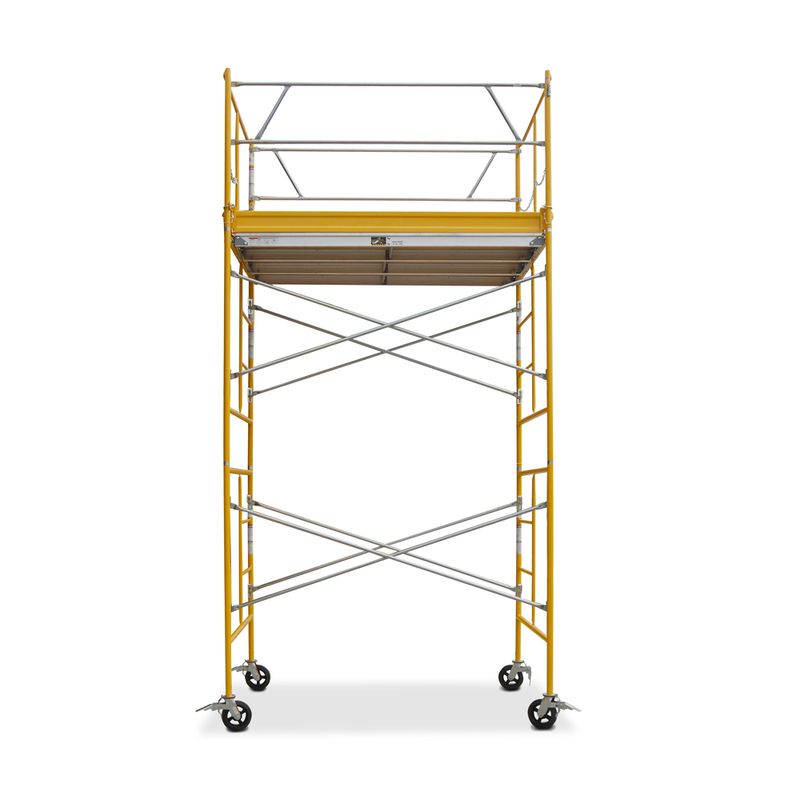 The full line of scaffolding has been developed to accommodate any job site or configuration. Granite offers a wide variety of options in the bleacher industry. From a basic 3 row 15 foot option to full stadium bleachers, Granite offers custom options for any application. 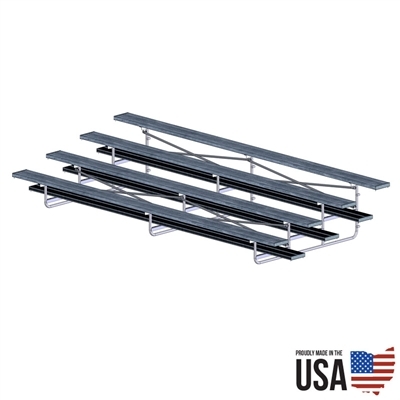 The best selling Signature Bleachers feature an all steel frame and aluminum seatboards/footboards. It’s available in 3 row, 4 row, and 5 row configurations with lengths of 15 feet, 21 feet and 27 feet The frame is powder coated flat black for a professional finish. Granite also produces benches for outdoor sporting events. If there is a seating need, odds are we create the perfect solution. Email us: support@graniteind.com or visit our online store. Granite Industries offers steel platform and aluminum platform stages. 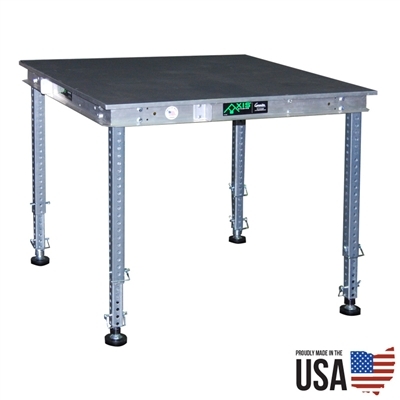 The Signature Steel platforms have been the industry standard for a durable steel deck. The stages interlock and use a “hanging” leg system. 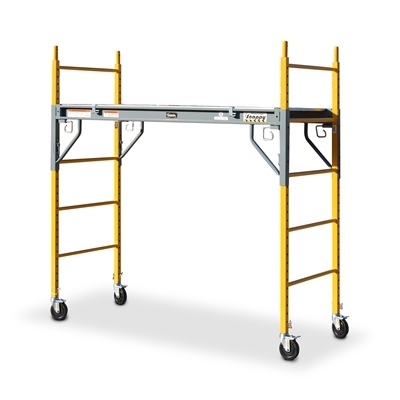 This allows for 4 legs to be used on the first stage, 2 legs on the perimeter stages, and 1 leg on the internal stage platforms. This reduces cost and speeds up setup. The AXIS stage is Granite’s all aluminum deck. It is about 30% lighter than it’s steel counterpart allowing for easier handling and quicker setup. Granite offers the premium quad ripple deck on the AXIS deck and offers high traffic carpet on the Signature Deck. View our staging catalog for more information or visit our online store. The Power Snappy is a motorized scaffold developed by Granite Industries. It runs on rechargeable batteries and is driven by two electric hub motors. The design of the scaffold allows it to have a zero turn radius. Simply adjust the the joystick to steer the scaffold. The Power Snappy is 30 inches wide, five feet long, and adjusts up to six feet high. It meets all OSHA standards for scaffolding. The Power Snappy has been proven to improve job site productivity by 30%. Read the report here: Power Snappy Case Study.